Find a SunsUp Near You! SunsUp offers the BEST beds in the business. We are relentless in finding the finest quality tanning products at the greatest value to our customers. 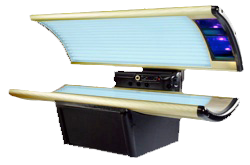 SunsUp also maintains its tanning equipment beyond manufacturers recommendations to ensure consistency at each of our 16 locations. It’s these differences that have set us apart from other tanning salons. Come in and take a test ride on the highest quality, cleanest, and most well maintained beds in the Portland/ Vancouver Metro Area. That’s how we roll and SunsUp Tanning! This completely comfort controlled bed offers a luxury tanning experience. 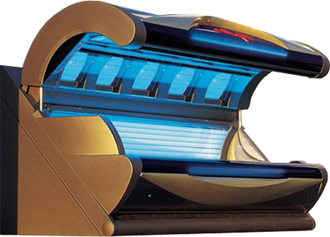 With 2% UVB radiant bulbs, The 850 is a 72 hour bronzing bed that offers a deep, rich tone. The 850 also includes high intensity facial, shoulder and neck lamps for a complete and seem-less overall tan. 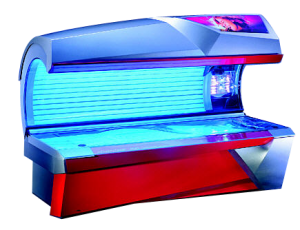 With 2% UVB radiant bulbs, the 650 is a 72 hour bronzing bed that offers a deep, rich tone. The 650 also includes high intensity facial and shoulder lamps for a complete and seem-less overall tan. Great upgrade bed for a great look and feel! The Original upgrade bed for the serious tanning lifestyle. 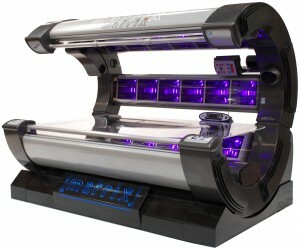 Offering complete 360 degree tanning, this high-pressure bed creates a deep, dark tan. An upgrade bed for the serious tanning lifestyle. Offering complete 360 degree tanning, this high-pressure bed creates a deep, dark tan. A 72 hour bronzing premium bed offering optional facial lamps. 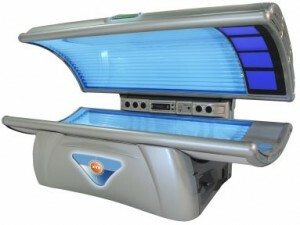 This bed provides even upper body tanning and tone while giving you a healthy dose of vitamin D in the process. One of our most popular beds. Classic version of our 72 hour bronzing premium bed, offering optional facial lamps. 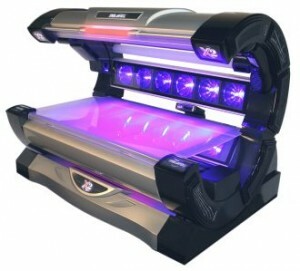 This bed provides even upper body tanning and tone while giving you a healthy dose of vitamin D in the process. Among one of our most popular beds. With 3% UVB, 97% UVA, this 10 minute bed is perfect for a quick, lunchtime tan. 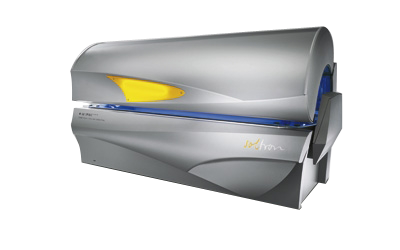 These units offer a complete 360 degree tan, with quick and easy use. A favorite of people on the go! Our most powerful UVB bed, the Executive offers 8.5% UVB rays. This bed gives quick results that you can really see. 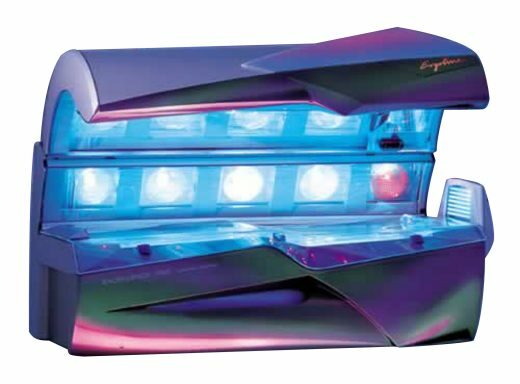 With optional high intensity face lamps, this is a great bed for a more experienced tanner. Our most popular bed! Overall fantastic results & a great source of vitamin D! This bed offers controllable air flow, iPod hook-up and CD, surround sound system....designed for comfort and ease of use. This is a great “everyday bed” for any tanning level. This upgrade bed is one of our top of the line beds with a custom control fan for up to 12 minutes of sunny bliss. This bed will help bronze the melanin that’s already in your skin, giving you a deeper, darker tan all over including premium facial bulbs. This stylish black and yellow bed triggers your skin to produce more melanin to help give you instant color and you can enjoy up to 12 minutes of a mini-vacation in this bed. Always be more cautious of your tanning time in this bed because the higher UVB does make you more likely to burn. This sleek black bed has staggered lamps for taller tanners. 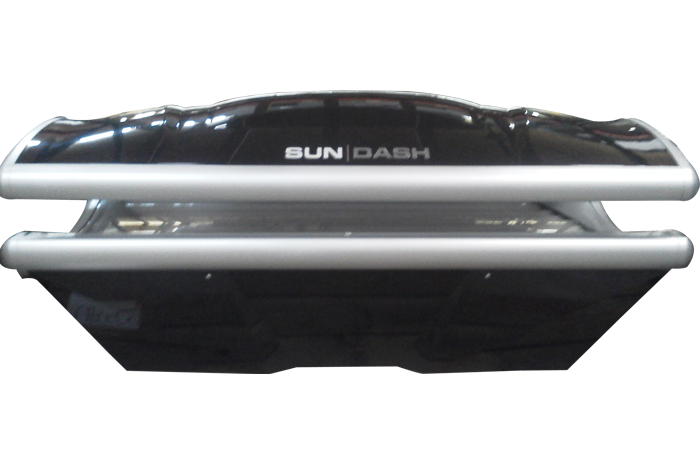 With up to a 20 minute session to help activate the melanin in your skin to produce a nice brown base tan before jumping into one of our upgrade beds the Ergoline SunDash will help you work towards that ultimate tan. Tan Safe. Tan Smart. SunsUp Tanning Centers advocates moderation and common sense tanning. Overexposure to ultraviolet rays, whether indoors or outdoors is counterproductive to a tan and causes irreversible damage to your skin! Build tanning times gradually and refer to our SMART Tan certified staff for suggestions on tanning time and tanning habits for the best results no matter your reason for tanning. Sign up to receive monthly email specials delivered straight to your inbox!